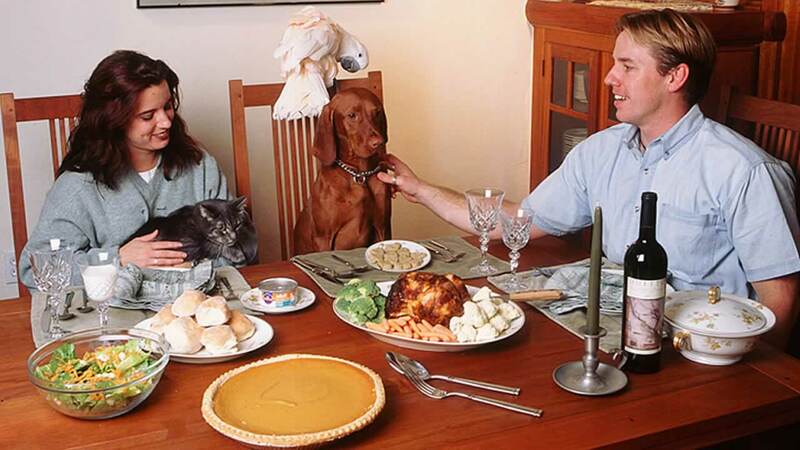 Don't forget that Thanksgiving can be a dangerous day for the family dog. Keep an eye on those left out leftovers. Fido can jump on the table and wolf down whatever's there, which could easily make him sick. It's tempting to give the dog treats from the table, but that's not the best idea. Turkey and turkey skin are not good for dogs. Also watch out for grapes because they can be toxic. Be aware that anything hard can break a tooth -- that includes ice cubes and bully sticks.